1. 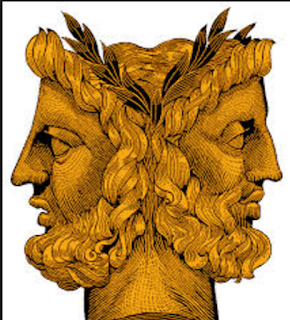 January: named after Janus, the god of doors and gates. 2. February: named after Februalia, a time period when sacrifices were made to atone for sins. 3. March: named after Mars, the god of war. 4. April: from aperire, Latin for “to open” (buds). 5. May: named after Maia, the goddess of growth of plants. 6. June: from junius, Latin for the goddess Juno. 7. July: named after Julius Caesar in 44 B.C. 8. August: named after Augustus Caesar in 8 B.C. 9. September: from septem, Latin for “seven”. 10. October: from octo, Latin for “eight”. 12. December: from decem, Latin for “ten”. NOTE: The earliest calendar was a 10- month one, beginning with March; thus, September was the seventh month, October, the eighth, etc. July was originally called Quintilis meaning fifth; August was originally called Sextilis, meaning sixth.